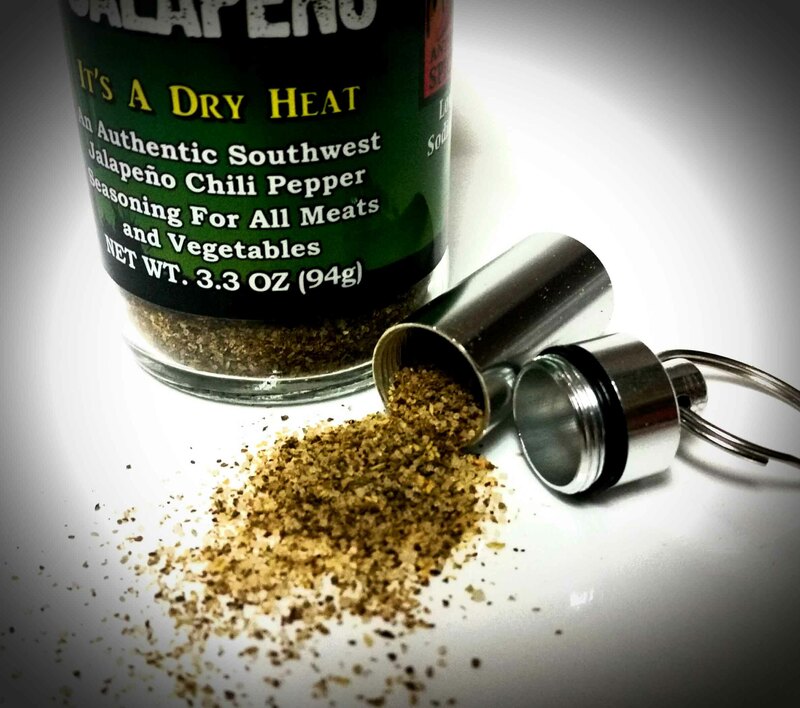 Take Anthony Spices with you anywhere with our SPICE CADDY, when you need to heat things up. Made of high grade aluminum and has a waterproof lid. Fits right on your keychain. Colors may vary.